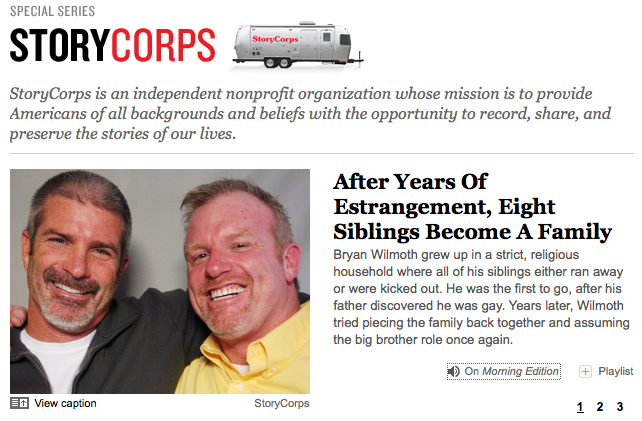 As you listen to this StoryCorps story of how a family of eight siblings were reunited by the love of their eldest (and gay) brother after all of them had been driven away for one reason or another by their religiously (Christian?) fanatical parents, you decide whose actions were more loving. This entry was posted in Links to others and tagged family, fundamentalism, love, NPR, siblings, StoryCorps. Bookmark the permalink.